There have been a couple weather systems pass through the country leaving snow behind this past week. 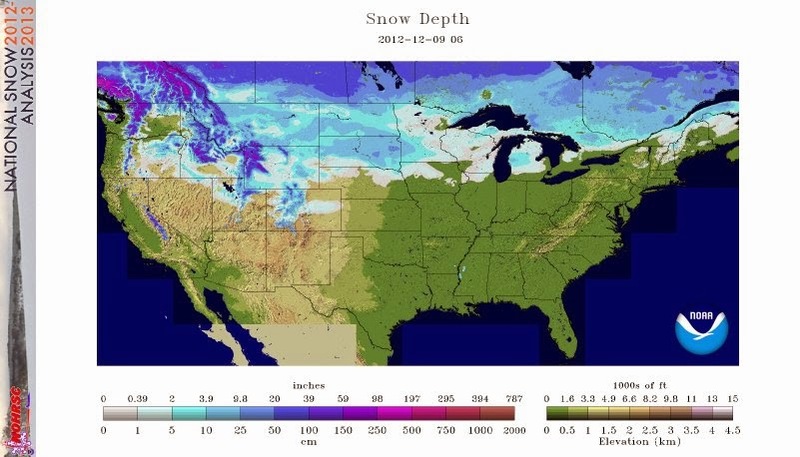 It is interesting to look at the national snow analysis done by the National Operational Hydrologic Remote Sensing Center. For December 9, 2013 sixty-seven percent of the United States (lower 48) was covered by snow. In contrast, December 9, 2012 only 26% percent of the country was covered by snow. 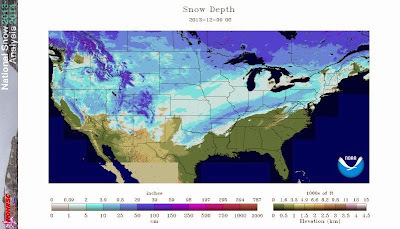 The National Weather Service started keeping track of the national snow cover in 2003, so stats only go back that far. When I look specifically at December 9 over the past 11 years, the national average is 40%. This makes 2013 a 68% increase over the 11-year average and also makes December 9, 2013 the "snowiest" December 9 in the past 11 years.